The Topcon Rotary Laser is capable of producing a diameter of 2,600 feet when used with a receiver. It is accurate up to 1/16 of an inch at 100 feet. This is accurate enough for all but the most technical of jobs. This feature matches its name exactly – the laser levels itself, automatically, meaning a lot less work for you. The Topcon RL-H4C Rotary Laser also allows for easy manual slope manipulation. Simply press a button and the laser will change its slope in the direction desired. When it senses the receiver you have placed on the slope you want, the level will alert you. The Topcon RL-H4C has a near perfect IP rating of 66. This means the machine is “dust tight” and protected against heavy seas or powerful jets of water, making it a top rated outdoor laser level. The Topcon rotary laser has a 5-year warranty, one of the longest of any rotary level available on the market today. Incredible durability combined with a long warranty means the Topcon laser is guaranteed to provide professional quality services for many years. Working on a jobsite with lots of vibrations? That is no problem for the Topcon RL-H4C. If the level is jarred or tilted while rotating, the anti-drift system, which Topcon calls its ¨HI Alert System¨, warns you with three flashing LED lights and a sensor’s icon to prevent false readings. The Topcon has an astounding 100 hours of battery life from 4 D Cell batteries. Topcon also sells rechargeable batteries and a AC/DC converter that can accompany the RL-H4C, meaning there are three different ways to power the machine. This power versatility could prove critical on the job site if one or two power methods fail for some reason. The Topcon can perform any task the professional contractor may come across. It is one of the most accurate laser levels available on the market, and thus can perform tasks that require a tremendous degree of accuracy. 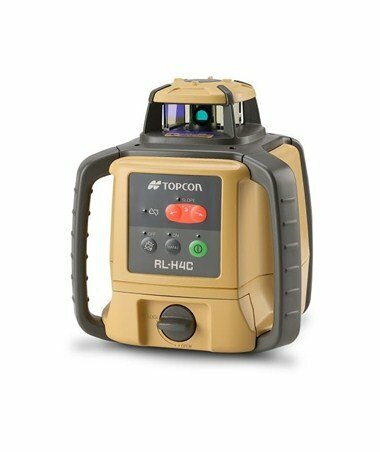 The Topcon RL-H4C also possesses one of the longest ranges on the market, making it the ideal choice for large surveying jobs and construction projects. This potent combination of range and accuracy means the Topcon Rotary Laser can fulfill all your laser level needs at the highest quality professional level. The Topcon can be easily transported by just one person considering it weighs only 5.3 pounds and has dimensions of 7.0 x 8.5 x 7.7 inches. Topcon RL-H4C Rotary Laser Level is best suited for large scale general construction projects such as grading, excavating, digging and laying a foundation in concrete. This is because of its massive range and easy slope control, without which many grading projects would be impossible. It is also ideally suited for jobs that demand a high degree of accuracy, like excavating and laying the foundation of a house or aligning fence posts. Topcon RL-H4C Rotary Laser is among the best outdoor laser levels. It is also perfectly capable of completing more mundane tasks people often face inside the house, like hanging windows correctly, identifying studs before hanging shelves or cabinets. 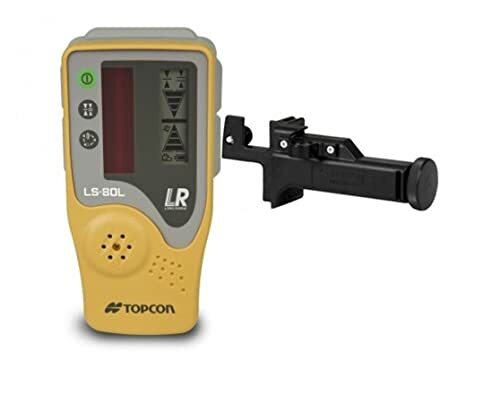 In searching on how to set up this rotary laser level, I have found a very helpful video guide from a Topcon partner in Australia which is also applicable to Topcon RL-H4C products in the US. Check it out! If you are a professional contractor that likes to make the extra investment of money to get top quality performance out of your tools, then the Topcon RL-H4C Rotary Laser is likely your best option out of rotary laser levels available on the market today. It has impressive features like tremendous range, battery life and easy slope manipulation, as well as having incredible durability and one of the biggest warranties in the field. Can this rotary laser be used vertically as well? Hi Edwin, the Topcon RL-H4C is primarily used in flat plane (horizontal plane) only. 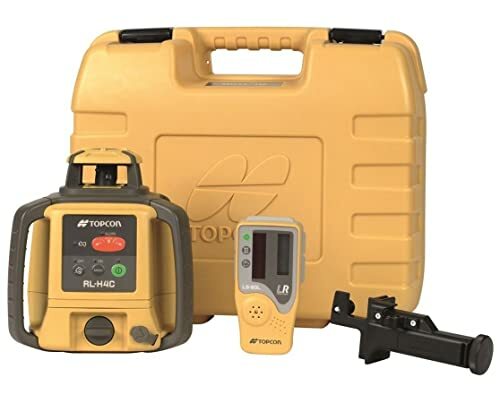 If you are looking for a rotary laser level that can work both horizontally and vertically, consider the Topcon RL-VH4DR (review here) or the CST/berger RL25HVCK .